Mercy Multiplied is a voluntary, biblically based, residential program that is free-of-charge to young women ages 13-32. The average stay in a Mercy home is six to nine months. To offer this kind of care and counseling to hurting young women, Mercy created four homes in the United States. The one thing each home needed to open: beds. Recently, The Bed Boss generously donated 40 new, twin-sized mattresses to Mercy Multiplied. 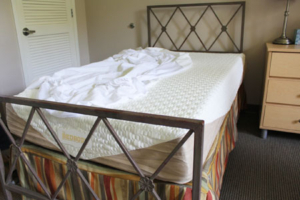 These include the GhostBed, Puffy, Luxi, Purple, and Nectar mattresses. The Bed Boss, founded in 2008 by Ben and Andrea Folkins, provides high quality memory foam products to its customers. The Bed Boss reflects personal values of generosity, service, integrity, and family in its business. “We see our corporate giving as a tangible way to love our neighbor as ourselves. Everything we have is from the Lord, and our desire is to use this business as a means to love God and love people,” said Andrea Folkins, Founder and Owner of The Bed Boss. 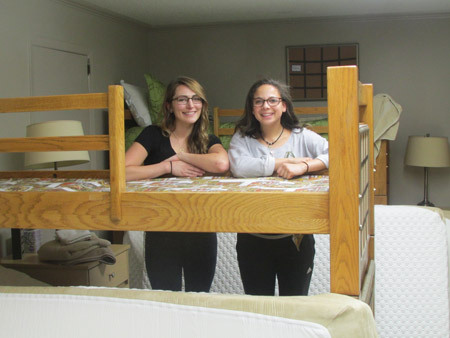 A portion of The Bed Boss’ proceeds and around 1,000 mattresses each year are donated to organizations that directly impact the lives of children and families. This year, The Bed Boss generously chose Mercy Multiplied to be the recipient of a 40-bed donation. “A member of our creative team introduced us to Mercy Multiplied. We read the testimonies of transformation from so many beautiful young women, and we were excited to be able to help!” said Andrea. Since 1983, Mercy Multiplied has seen thousands of lives transformed through its residential program made possible through private funding. “We are thrilled to partner with Mercy Multiplied. It is an honor to be a tiny part of the redemptive work that the Lord is doing through your ministry,” said Andrea. Mercy Multiplied is thankful to The Bed Boss for their generous donation and the impact they’re making on the lives of children and families.